Two years ago I did a world tour where I talked about a librarianship based on knowledge and community engagement. I ended up doing a lot more listening than talking. I met amazing librarians, I found common cause, and ideas of how we all could work closer together. So, now it’s time to bring together those seeking a new librarianship into an emerging school of thought. We’re having a planning meeting in Florence, Italy on September 18th. If you are unable to join us in person, we will also be bringing in folks virtually. At that meeting a group of amazing librarians, library organizations, and partners will plan a sort of international progressive conference. Want to play? There is an emerging school of thought around librarians, libraries, and their relationship to their communities. This school of thought seeks to go beyond data, materials, and information to knowledge, helping people make meaning in their lives, and focusing on communities making smarter decisions. A school of thought goes beyond a smattering of innovative services, or single lighthouse agencies. It is a comprehensive approach to a discipline that ties in theory and practice. The power of these schools of thought can be seen in architecture (modernism that transformed urban living with skyscrapers), economics (changing how countries see debt and how to build global financial marketplaces), to the arts (impressionism), and research (naturalistic inquiry, critical theory, postmodernism). Right now, this new school of thought in librarianship can be seen in a FabLab driving through the Netherlands, an advocacy campaign in the United States focused on transformation, on new service models in the cities of Brazil, in an atlas of new librarianship, in the advocacy MOOCs of Canada, and a distributed digital library master’s degree in the European Union, and a new public square in Pistoia. It is being shaped in the field, the classroom, and the halls of academia. It is championed by an international cast of librarians, scholars, government workers, and library supporters. The work has resulted in numerous publications, videos, and Internet sites. 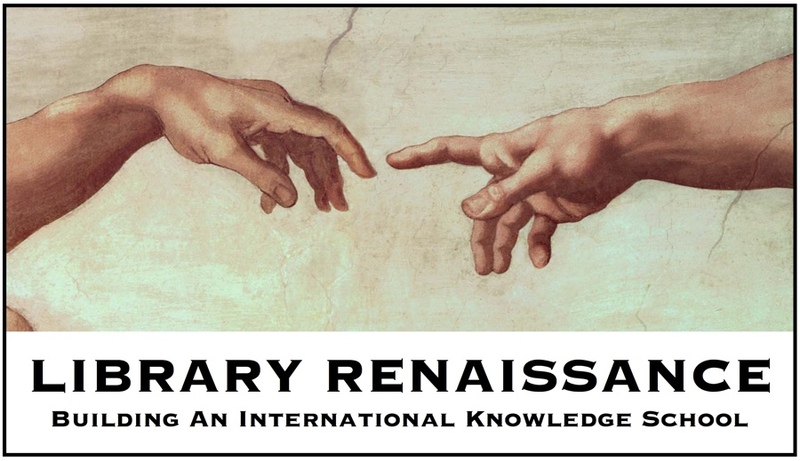 There is a loose and growing network of people across the globe working to push the field of librarianship forward. This network exists in email threads, Tweets, Facebook groups, and conference sidebar conversations. It is time to pull this network together, forge a common narrative for the future of libraries, and produce an actionable agenda to equip global change agents to enact new library service in communities across the face of the Earth. While this change will happen with and within existing associations, institutions, and agencies, there needs to for a separate conversation to share knowledge, tactics, and resources to make these changes possible. To this end, I am proposing a series of national “inventories” leading to an international academy where delegates of the national events share and learn with colleagues to build a strong collaborative network. The shape and nature of this network will emerge from the process and is seen not as an organization or “place,” but rather as an inter-personal connection for projects, mentoring, and support. The ultimate goal of the network is to constitute the new school of thought around a librarianship of knowledge and meaning over materials and buildings. The ultimate goal of the school of thought, what in South Carolina we have been calling the Knowledge School, is to improve society through helping our communities make smarter decisions. As you can see there are a lot of details to be worked out. However, we already have a number of resources developed from text books, to curricula, to project plans, to documentaries. We also have initial buy in of several international organizations. On September 18th we will be gathering (in person and virtually) in Florence, Italy to plan for the international events. I’ll be keeping folks up to date here as details and concrete plans emerge. being a small publisher for library and informatiion science I am very interrested in joing the international knowledge school and will also alert other professionals in Germany as Open Password and in Switzerland ,where I am involved in a blog of ETH Zürich. the book of Lankes, expect more which was published , translated in German and edited by Prof. Hobohm has alreay gained quite some people being interested in the Lanke’s approach, which is new in Germany and much contrary to the more administratvive approach to libraries in this country. I am sorry I will not be able to come to florene, butr please keep me in mind of a very interested person to join. I could also serve as communicator by our web and our tools example our blog Wissen und Herrschaft. Please keep in touch and I woll post your message (in German) Best wishes Elisabeth Simon, HonFCILIP. I agree, it is absolutely important that we address how a vision of the field increases diversity in the profession and library membership. This is a wonderful idea and I love the idea of these networks. I have been involved in what feels like a similar kind of endeavor: OpenCon (http://www.opencon2017.org/), a conference for early career researchers and librarians working on Open. This conference has been very successful in engaging with diverse, international participants. We also have a virtual network of early career librarians working on Open who gather each month for a community call and meet up at conferences (including OpenCon, but also others like ACRL, ALA, etc.). I wonder if you have engaged with this community or plan to? I think there may be some overlap in mission and design that could be mutually beneficial. I’m glad to be part of this thought provoking discussions among librarian colleagues and friends who work in various corners of the world. The idea of engaging librarians across the world is very relevant as we all have something valuable to contribute to an increasingly dynamic field of librarianship. We are about knowledge creation, knowledge sharing and knowledge harnessing not just storehouses/keepers of bound volumes of books for the former is unconfined and boundless. And yes knowledge, and our role in it, is boarder-less. So in this project, we aim to collaborate on how to re-envision the future of librarianship including the curriculum, space (physical.virtual) design, community education, community engagement design, networking of professionals, re-orient skills and re-sharpen tools. We aim to answer the big question: what will be the role of libraries/librarians in improving the lives of these communities? In short, re-conceptualising LIS education, information literacy/competency, and library metrics in accordance with the dynamic requirements of our users and environment. I’m not coming to Italy but will be available virtually on the day.